Maybe the crowning achievement of drummer Makaya McCraven so far – a double-length set that stands as a huge testimony to all the many waves he's been making in jazz for the past few years! 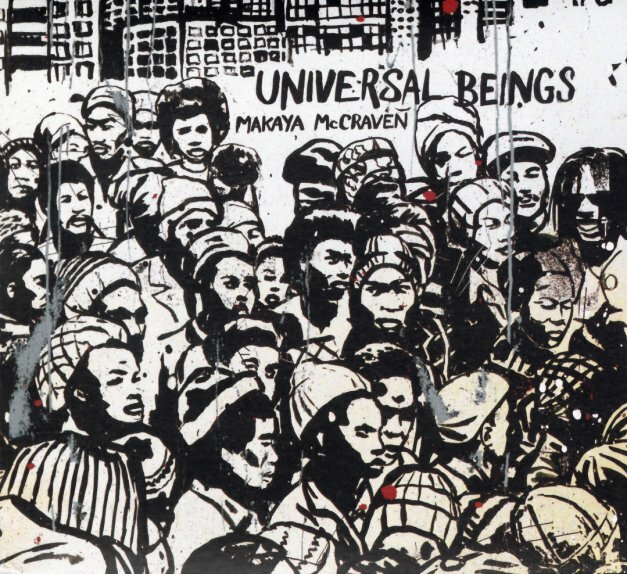 The album features four slices of live performance – recorded in New York, Chicago, LA, and London – and as with every one of his different projects, Makaya seems to bring a different voice to each live track here – recording with Brandee Younger on harp and Joel Ross on vibes in New York, Shabaka Hutchings on tenor in Chicago; Nubya Garcia on tenor and Ashley Henry on Rhodes in London; and Josh Johnson on alto, Jeff Parker on guitar, Carlos Nino on percussion, and Miguel Atwood-Ferguson on violin in LA! The rhythms are as amazing as the contributions from the different soloists – and the sound of the record is maybe something we'd call post-spiritual – moving past that Coltrane-inspired mode that's been revived so well in the 21st Century, while still holding onto its best sense of energy. The whole thing is fantastic – and titles include "The Count Off", "Brighter Days Beginning", "Universal Beings", "Mantra", "Young Genius", "Holy Lands", "Wise Man Wiser Woman", "Prosperity's Fear", "Atlantic Black", "Flipped Out", "Voila", and "Suite Hans". © 1996-2019, Dusty Groove, Inc.